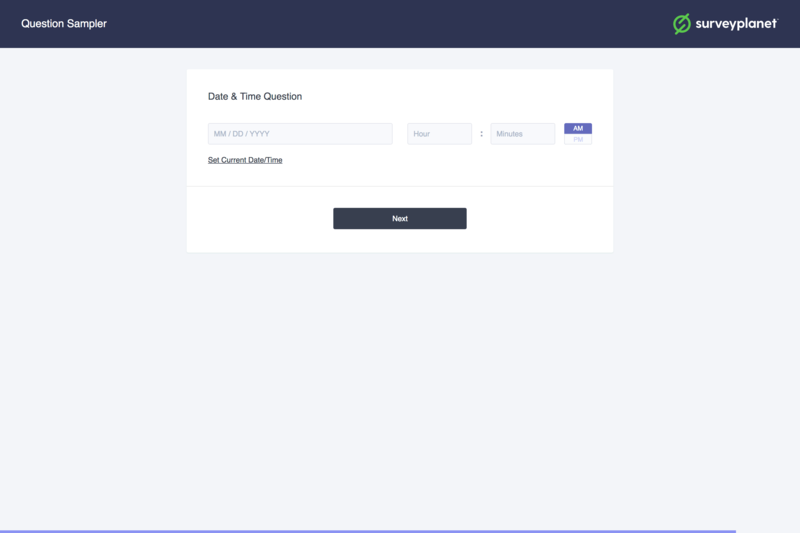 Date/Time Questions allow you to have the survey participant enter a date, time, or date and time. 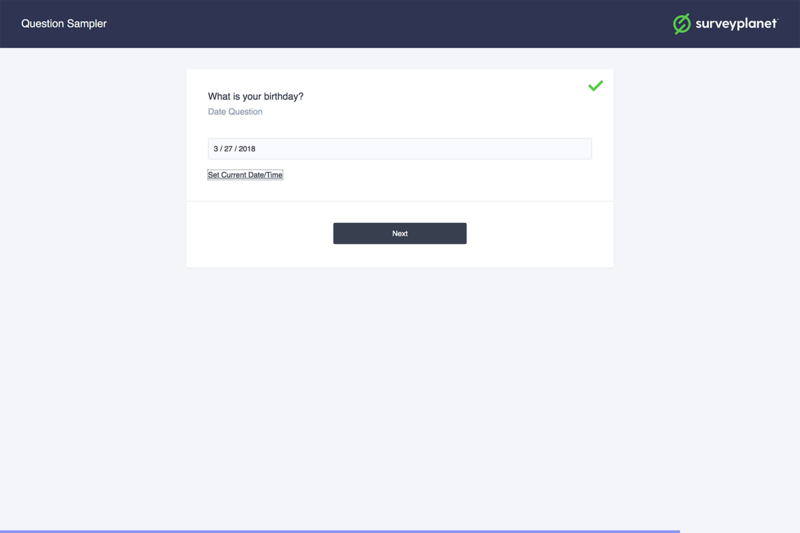 If you want the survey participant to only enter a date, then select Date under Type. The participant can click Set Current Date/Time and the current date will populate into the input field. Otherwise, the date is entered in the MM/DD/YYYY format. If you want the survey participant to only enter a time, then select Time under Type. The participant can click Set Current Date/Time and the current time will populate into the input field. Otherwise the time is entered in a 12-hour format and then AM or PM is selected. If you want the survey participant to enter both the date and time, select Date & Time under Type. The participant can click Set Current Date/Time and the current date and time will populate into the input field. Otherwise the date is in the MM/DD/YYYY format, the time is in a 12-hour format and the participant selects either AM or PM.